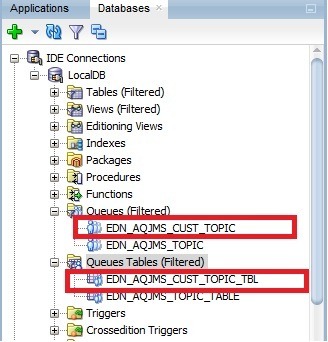 In this post, I just want to present an idea on how to make Service Bus work with EDN in SOA Suite 12c. 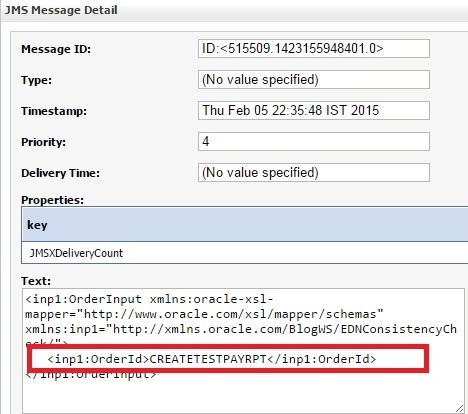 For demonstration purpose, I will consider Durable Subscriber functionality introduced in 12c. You can download the SOA and Service Bus projects here and here. My setup includes 2 business events Create Order and Update Order and have the following durable subscribers created because of SOA Composites. Refer to these articles for more information on EDN. 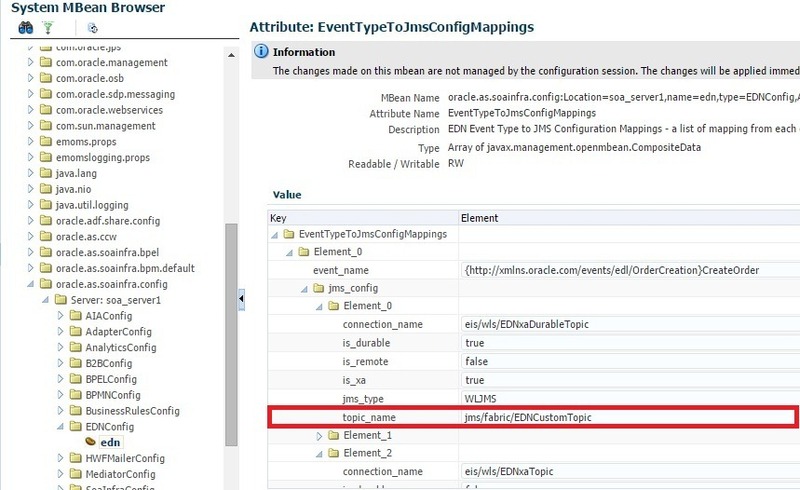 Note that, Client ID is different as mentioned below based on the consistency level used for the event subscription. Main idea is to create a durable subscriber for our Proxy Service similar to the ones shown below. 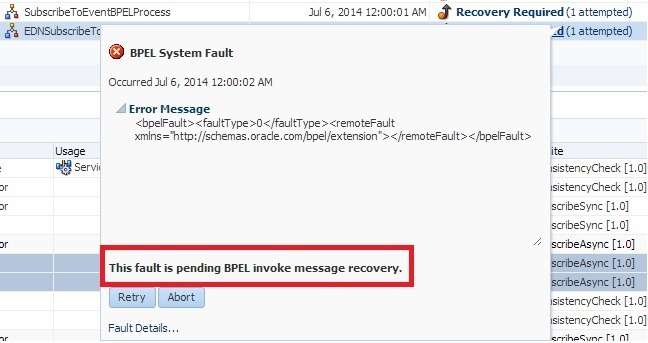 So note down Client ID and Message Selector shown below and use it in our Proxy Service configuration. Here we are subscribing our Proxy Service to Create Order business event. 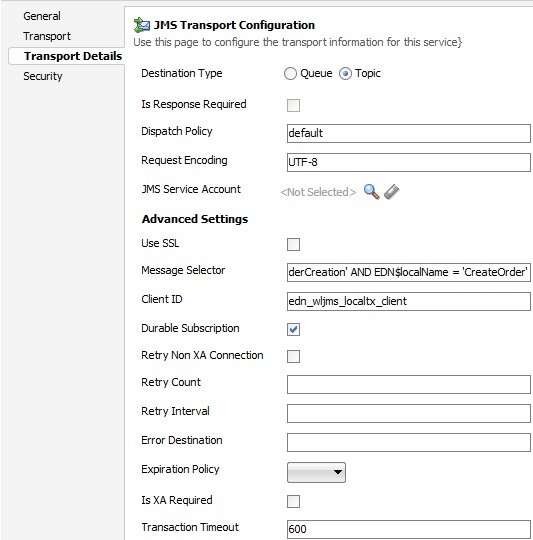 Now create Proxy Service and set Endpoint URI in Transport tab as shown below. 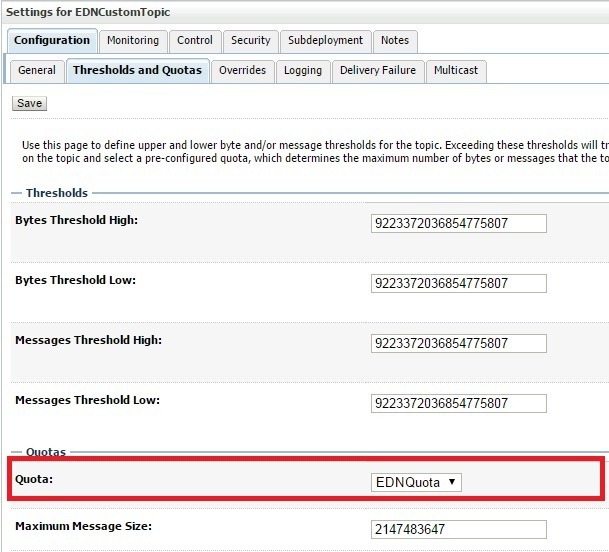 EDN uses EDN Topic for storing and delivering the EDN messages to subscribers. 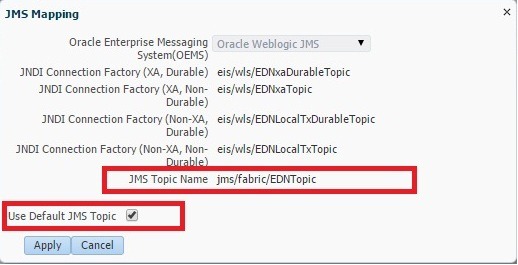 Give the Message Selector and Client ID noted in previous step in Transport Details tab as shown below and select Durable Subscription option. 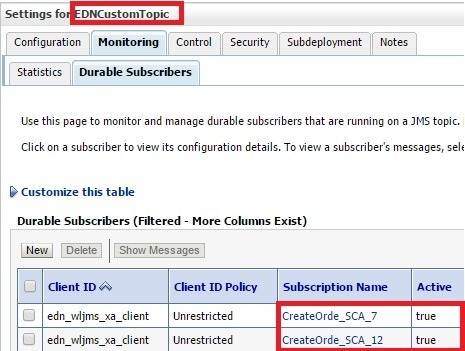 Deploy you Service Bus project and observe that another durable subscriber has been created for Proxy Service as shown below. 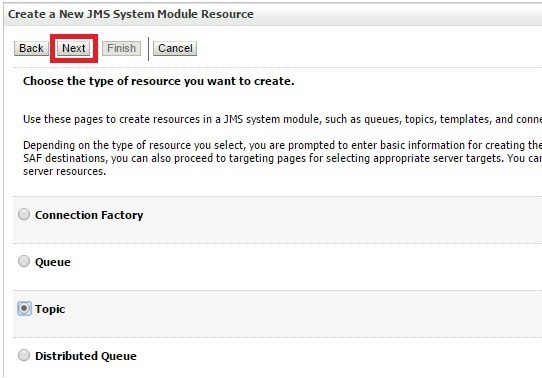 To make sure that things are working as expected, push the message read by Proxy service to other JMS queue. 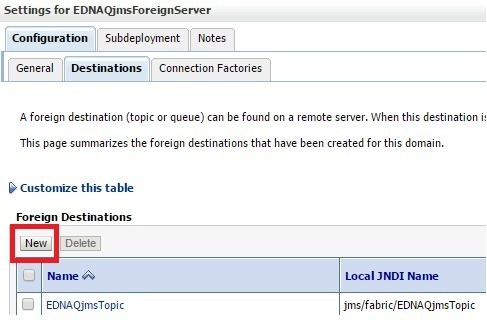 Here I created queue named CustomJmsQ and following screenshot shows no messages are pushed yet. Raise the Create Order business event from SOA Composite. And you can observe that message payload have been inserted into JMS queue. Shut down OSB managed server and observe status of durable subscriber. As shown below the Active status is shown as false indicating that Proxy service is not longer ready to accept messages. Again raise the Create Order business event. And now you can observe that message is shown in Current Count means not yet delivered to Proxy Service. 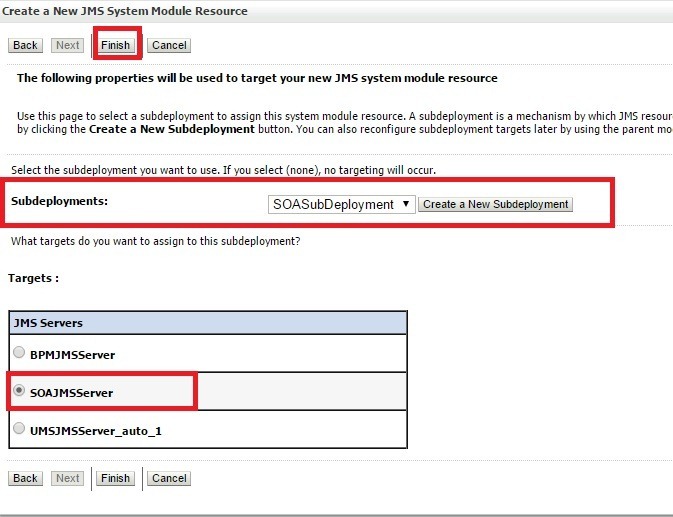 Now restart your OSB managed server navigate to CustomJmsQ. Now you can observe 2 messages in this queue including the latest one as shown below. Now Un-deploy Service Bus project. And you can observe that corresponding durable subscriber is deleted too. 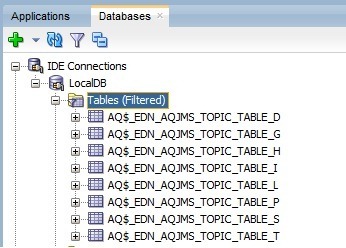 EDN bus comes with SOA server, so you may not be able to use EDN in OSB only deployments. 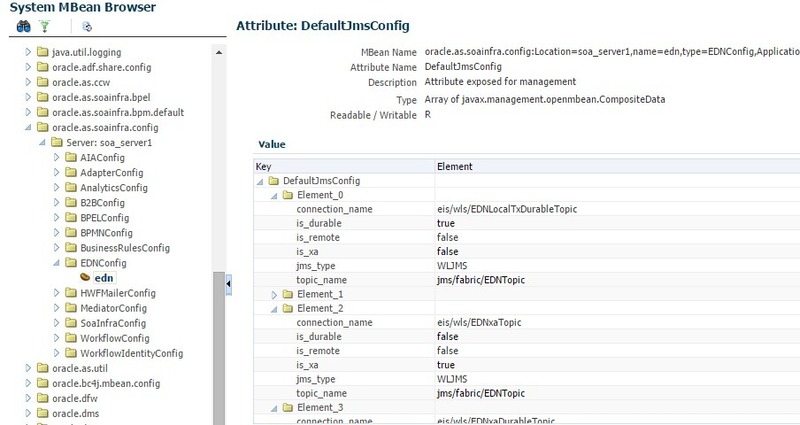 Since there is no native support for business events in service bus, we will not be able to set any consistency levels and even the retry would not happen similar to SOA composites. 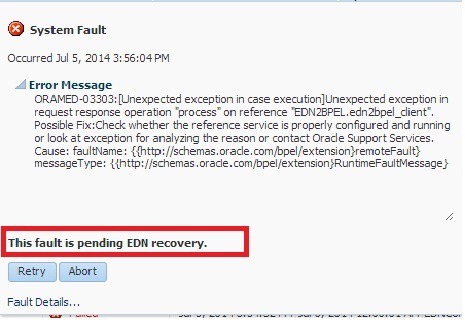 Here we directly gave Endpoint URI of Proxy Service to point to EDNTopic residing different server. Ideally, you may have to go for foreign server. Finally, I have not verified the same with client edn_wlsjms_xa_client. Please let me know in comments when you try. 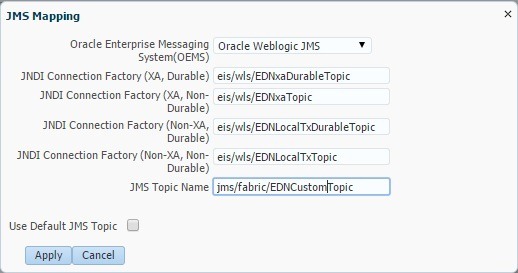 In 12c EDN uses Weblogic JMS to publish and deliver the Business Events. 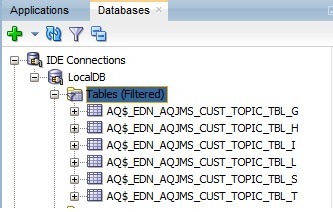 So edn-db-log (which we use in 11g) will not work when Weblogic JMS is used. 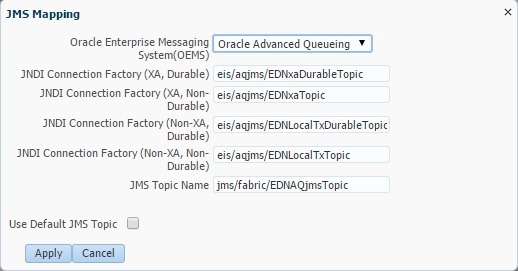 In 12c, you can enable EDN logging navigating to soa-infra –> Logs –> Log Configuration and search for logger oracle.integration.platform.blocks.event as shown below. Set the logging level as you desired. 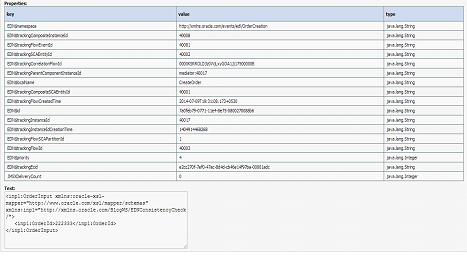 Logs will be created in soa_server1-diagnostic.log as it uses old-handler. We use following events and subscriptions for verifying the logs. 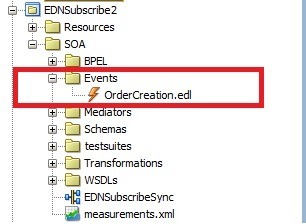 The business event CreateOrder has 3 subscriptions and UpdateOrder has 1 subscription. Following is the log generated when CreateOrder event is produced having all the subscribers up with OneandOnlyOne subscription and durable property is Yes. The following log contains right from publishing the business event to consumption. The highlighted date represents a new line in the generated log. 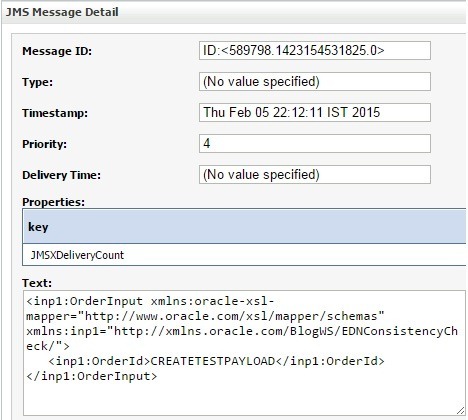 [2014-12-19T21:23:28.806+05:30] [soa_server1] [WARNING] [DMS-50763] [oracle.dms.instrument] [tid: DaemonWorkThread: ’14’ of WorkManager: ‘SOA_EDN_WM’] [userId: weblogic] [ecid: f0d1ad91-cab2-484f-94e2-834724cc0eaa-0001061d,0] [APP: soa-infra] Attempt to create pre-existing noun /soainfra/apps/default/EDNConsistencyCheck!1.0/BUSINESSEVENTNAMESPACESs/http^/xmlns.oracle.com/events/edl/OrderCreation/BUSINESSEVENTs/CreateOrder, of type soainfra_business-event-publish, with a conflicting type soainfra_business-event-process. From the above logs, we can observe Enqueue of event, Starting and committing JCA Local transaction, Dequeue of event, Invoking composite, Finished delivery (showed thrice as business event has 3 subscribers). 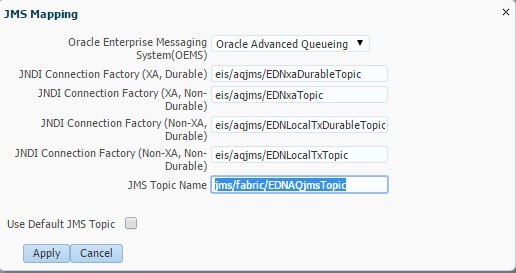 You can also observe that eis/wls/EDNxaDurableTopic connection pool is used and message is enqueued in jms/fabric/EDNTopic. Similar logs will be generated even when Durable property is set to No and for Guaranteed subscription level too using the respective connection pool. Subscriber received the business event but faulted during processing. Subscriber is unavailable when the business event is published. The hosted server itself is down when the business event is published. 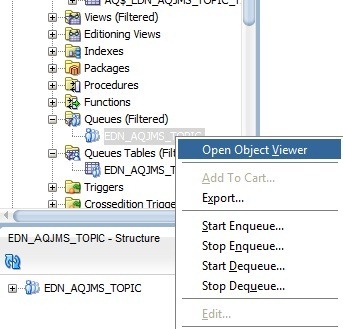 Scenario 1: For this scenario, EDN provides different Consistency levels and Auto Retry feature which you can use. The post discusses this behavior and also highlights major differences between 11g and 12c SOA Suite releases. In other cases where this feature can’t be leveraged, developer had to take care of manually storing event information and retrieving later on processing failure. Scenario 2: Typically this scenario may not arise in production environments but there is a possibility when event producer and subscribers are deployed on different managed servers and maintenance cycles for both are different. EDN 11g does not support for this case and it mandates Subscribers to be available when event is published. But in 12c, this scenario is handled using Durable Subscribers which we see shortly. 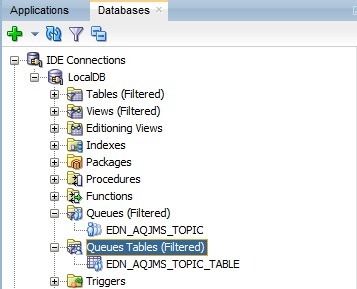 Scenario 3: This scenario also automatically handled by EDN as it queues the events. And once the server is up, the events in queue will get delivered to their respective subscribers. In this post, we will see how Durable property works for Business Events. We will use the same 3 composites used in previous post, where we have 3 subscribers for CreateOrder and 1 subscriber for UpdateOrder business events respectively. From here onwards, we will use subscribers or composites terminology interchangeably. Server shutdown and restart when a few business events are pending to be delivered. So let’s us get started!!! To start with let’s have a quick look at Events and Subscriptions used for demonstration. 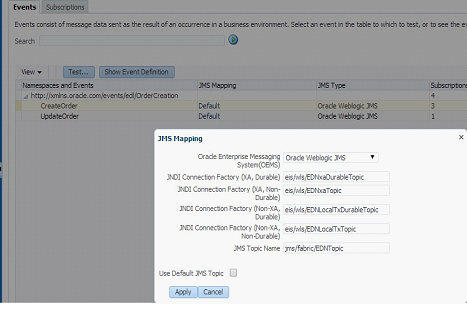 To view these navigate to soa-infra->Business Events. Set Durable property to Yes for all subscribers and do deploy. 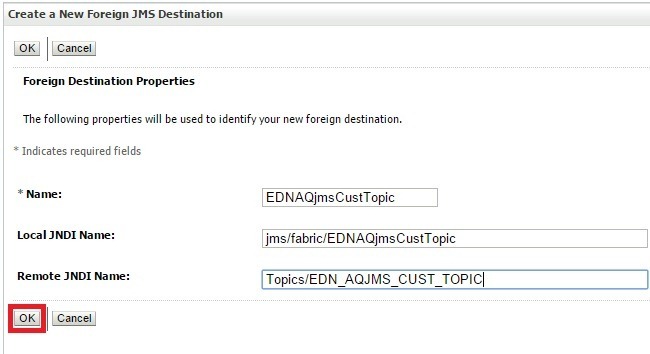 When Durable property is set to Yes, EDN leverages Weblogic JMS durable subscriptions and creates Durable subscribers for each such subscription. Durable subscriptions mean that Weblogic server will store the messages in persistent store until it gets delivered to subscriber. 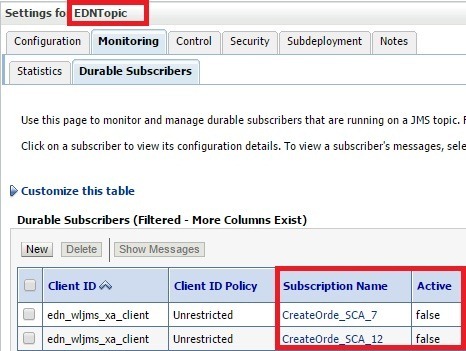 This can be observed in Weblogic Admin Console by navigating to Services->Messaging->JMS Modules->SOAJMSModule->EDNTopic->Monitoring->Durable Subscribers. You can observe 4 Durable subscribers in the above screen where 3 of them for CreateOrder and 1 for UpdateOrder business events respectively. 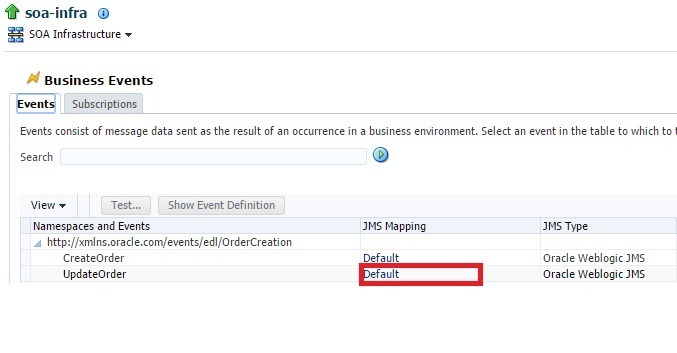 You can find out JNDI of JMS Topic used for an event in default JMS Mapping by navigating to Business Events screen from soa-infra and you can also modify this default JMS Mapping for business events. Shutdown EDNSubscribeSync composite and observe durable subscribers. In above screenshot, you can observe that corresponding durable subscriber is inactive (observe value for Active column). Now raise CreateOrder business event. Go to flow trace and observe that event is not delivered to this composite. Also, since it’s a durable subscriber we would ideally expect this message to be stored by Weblogic server. Now go to Durable Subscribers and you can observe a pending message to be delivered. Click Show Messages to see all pending messages. Click on message to see details as shown below. Now shutdown EDNSubscribeAsync composite and observe corresponding durable subscribers. Raise another CreateOrder business event and observe pending messages. 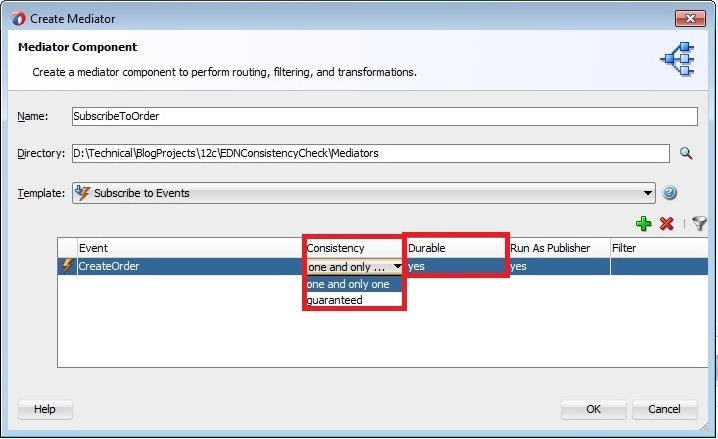 Bring up EDNSubscribeAsync composite and you will see a new composite instance gets generated as the pending event is delivered by EDN. Also observe that corresponding Durable Subscribers are active. Now bring up EDNSubscribe composite and observe 2 new composite instances are generated for both of the pending messages. Also observe that all Durable Subscribers are up. There will be no change in Durable subscribers, when composites are redeployed with the same revision or different revision as the default. Shutdown EDNSubscribeSync and EDNSubscribeASync composites and raise 2 CreateOrder and 1 UpdateOrder business events. As shown below, these will be shown as pending for corresponding Durable Subscribers. Now Shutdown SOA server and restart it. Navigate to EDNTopic and observe that messages are not lost and survived the server shutdown as expected. Bring up the composites and you would observe new instances get created as shown below. In the above screenshot, the first 2 instances are created for CreateOrder and 3rd instance is created for UpdateOrder business events respectively. Now Un-deploy EDNSubscribeSync composite. Navigate to Durable Subscribers and observe that only 3 subscribers exist. Un-deploy EDNSubscribeASync composite too and observe that Durable Subscribers is reduced to 1 as shown below. Now un-deploy all the composites and observe that all Durable Subscribers are deleted automatically. When you set Durable property to No and deploy the composites, you will not see any of the Durable Subscribers for EDNTopic as shown below. Durable subscribers are taking a little time to become active when server is restarted and shutdown composites are started up (scenario described above in Server shutdown section). 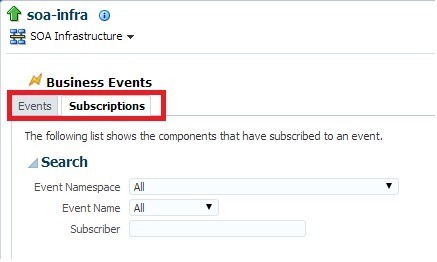 Client IDs for Durable subscribers are getting created differently based on event subscription consistency level. 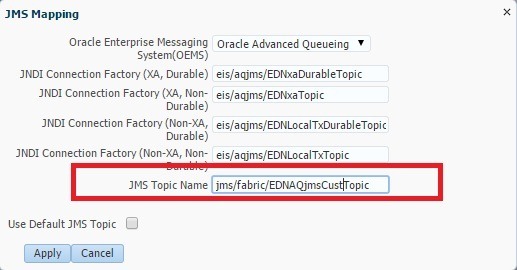 Observed that Client ID is set as edn_wljms_xa_client for OneandOnlyOne consistency level. 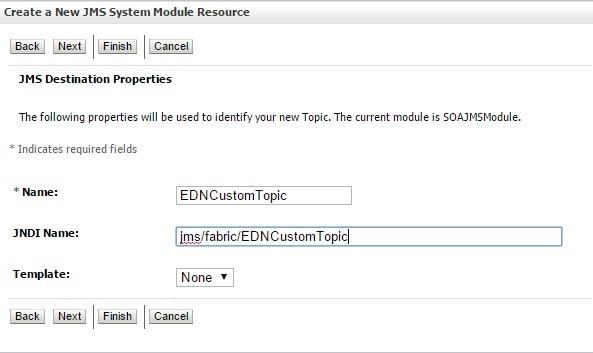 For Guaranteed consistency level, it’s edn_wljms_localtxn_client. This denotes Global Transaction used for OneandOnlyOne and Local Transaction used for Guaranteed consistency levels respectively. 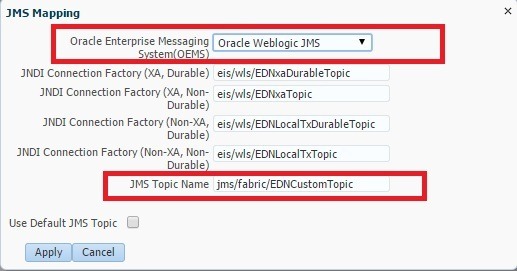 12c documentation for EDN mentions, The EDN does not support durable subscriptions (whether they are backed by native AQ or Oracle WebLogic Server JMS). The subscribing service component must be running to receive events, though we are able to achieve this using Durable Subscribers. We see the same mention in 11g documentation too. All of the above observations are nicely summarized over here, see table 33-2.